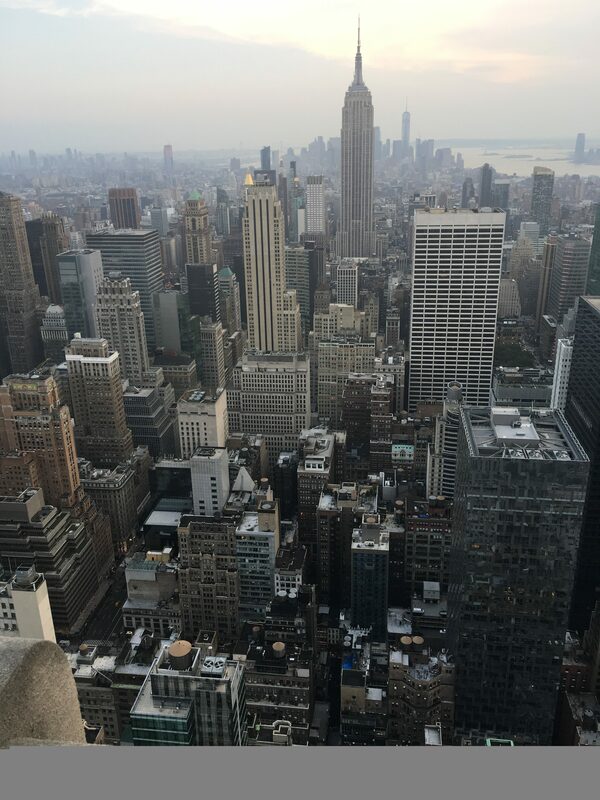 On my trip to New York last year I found some incredible views at the top of one of the tallest and most interesting buildings in the city. The Rockerfeller Centre stands proudly at 850 feet high in Midtown Manhattan and is one of the tallest buildings in New York City. 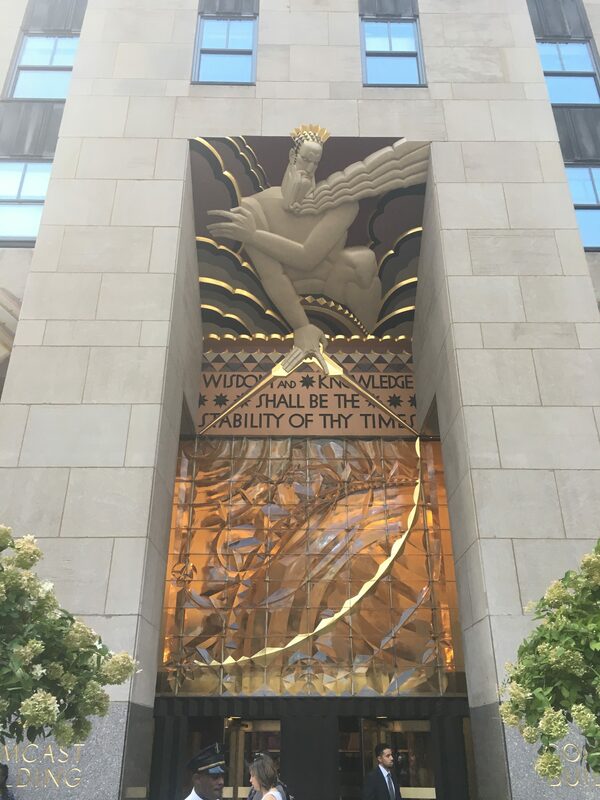 The 66-storey building sits at 30 Rockerfeller Plaza and is beautifully decorated in an art deco style. The Rockerfeller building sits in the middle of Rockerfeller Plaza. The door to the Rockefeller Centre quotes from Isaiah 33:6. 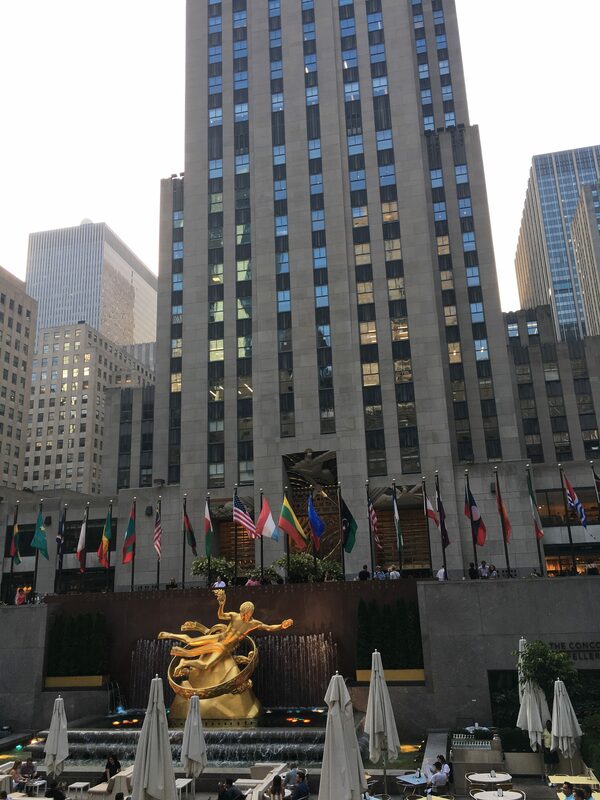 Home to a restaurant, bar and offices as well as the headquarters of NBC studios, atop this beautifully art deco building sits an observation deck, nicknamed ‘Top of the Rock’. 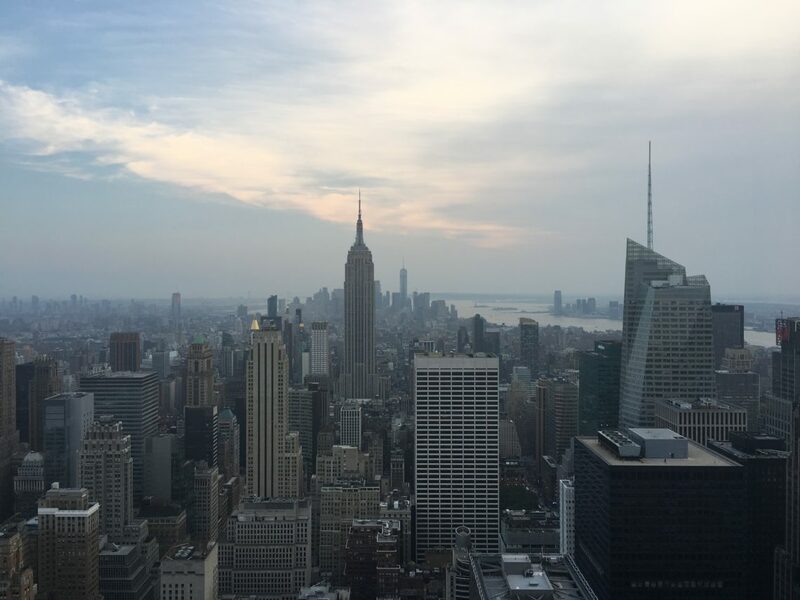 The panoramic views make it a perfect way to see the city in all its glory, above the noise and most buildings you can see for miles on a clear day. Seeing such an enormous city from above was slightly mesmerising. The people and cars were so small it almost didn’t seem real and you could really see how densely packed the city is. Wherever you looked something was happening, you really could stay up there for hours! The city is mesmerising from up above. I would recommend buying your tickets in advance as it can get very busy. I’d also advise on making sure you leave plenty of time to go in as there is a large queuing system. We waited about 20 minutes until we got to the lifts, then another 10 or so while the lifts went back and forth ferrying people to the top. 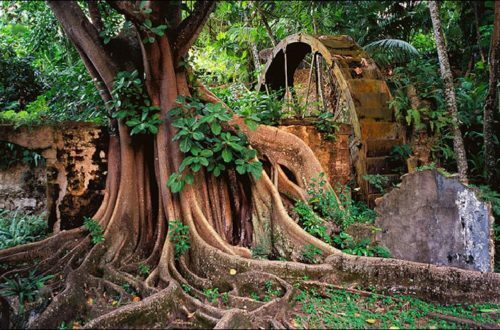 Happily though, there are various things to fill your time waiting. There is lots of information around to read and a photo booth where you can recreate this famous photo! You can recreate this iconic photo while waiting in the queue! I’d advise you to pick your timeslot wisely – we got there in daylight but stayed up there until sunset which was fantastic to see! Also, if you get there early enough you can make sure you get a good space by the glass so you can get some landscape photos without people’s heads in. You can see for miles on a clear day. The city looks magical at night! 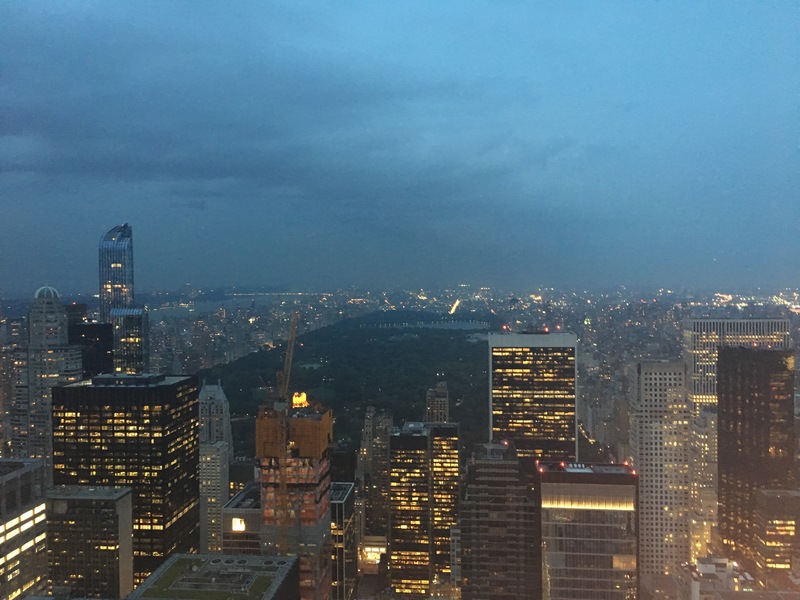 On one side of the observation deck you see the iconic skyline full of buildings and bright lights and on the other side you get the view of Central Park encased in its concrete surroundings. It’s great view to get because you really don’t see how stark the contrast is from grey to green at ground level. …and lit up by night. An adult ticket is $36 (about £26) and child tickets are $30 (about £21.50). The most popular time to visit is at sunset and going at a designated ‘sunset time’ will add $5 onto your ticket price – I would definitely say it’s worth it on a clear day though. There is a ‘Sun & Stars’ ticket which entitles you to visit twice in a 24 hour period so you can snap the views in the daylight and at night. Adult tickets are $54 (about £39) and child tickets are $43 (about £31). 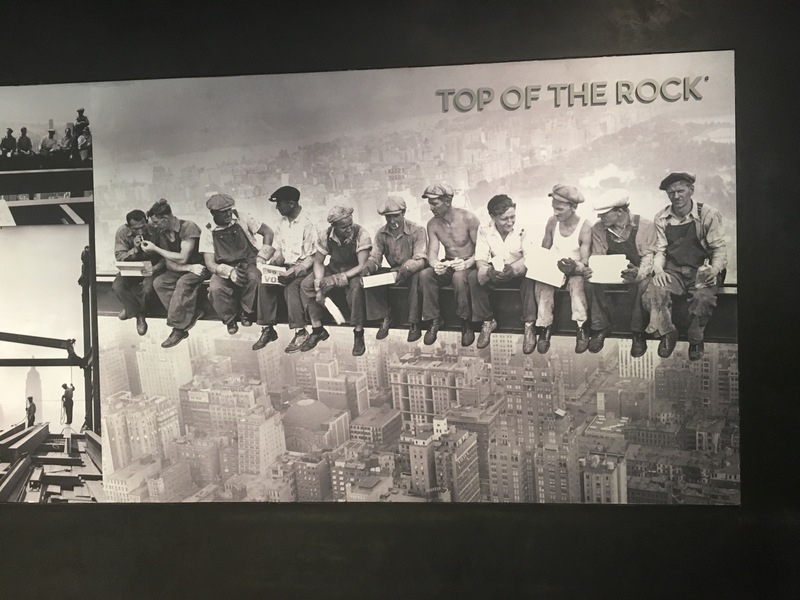 All ticket information and prices can be found on the Top of the Rock website. 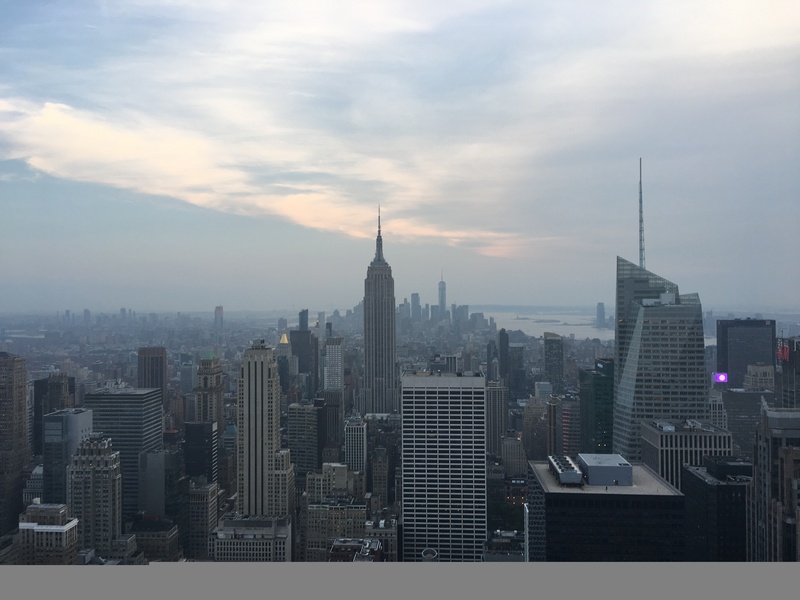 Top of the Rock operates a timed ticket system and there are security checks to go through, so don’t be late and leave enough time! There are large glass panels around the edge of the deck and taking photos through them can cause reflections etc., but there are gaps in the panels big enough to fit your phone through so if you nab a spot early enough you’ll have beautiful photos! 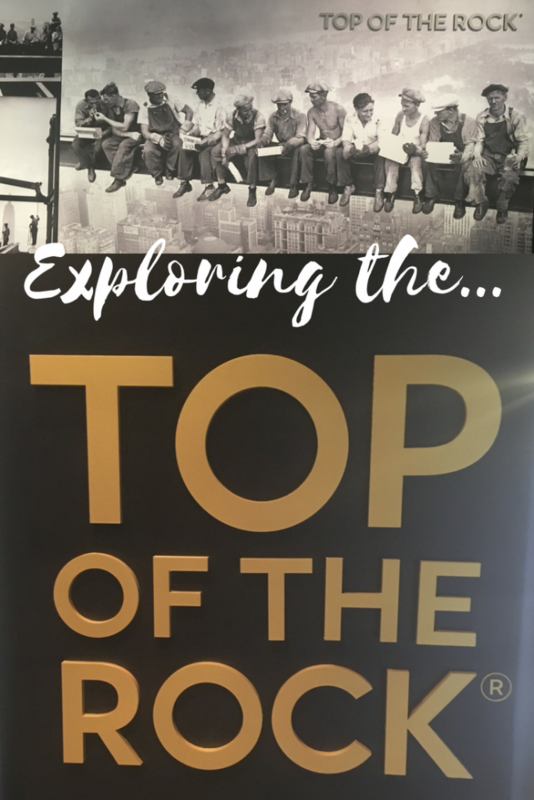 Have you ever visited the Rockefeller Centre or taken in the views from the Top of the Rock? Let us know your thoughts on it in the comments! My friends and i are planning a short break to New York and reading this article i think this may now go on our list of ‘must do’s’. 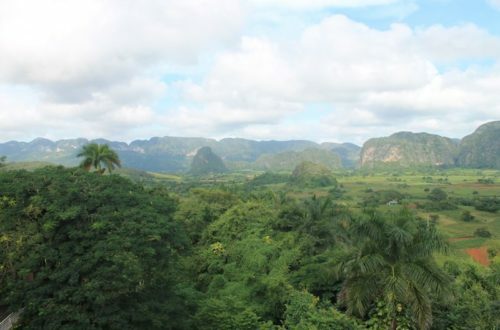 The view from the top looks amazing and well worth the price. Its a fun thing to do Jo, definitely recommend it!